As Winter sets in and holiday preparations start, it may be easy to forget one of the most important aspect of the season: the Winter weather. We all get busier getting ready for festivities and our team here at Davis Paint & Collision would like to make sure that you have a safe season. In this article we’ll look at the most important items to have in your car this Winter season. Winter season is characterized by freezing temperatures, chilling winds and snow making it very unsafe to be caught outside with some car troubles. Imagine being stuck for an hour or more in one of these Winter conditions. Maybe your car slides on snow, or your car suddenly stops. Neither of these conditions is fun for anyone. That’s why having these items in your car is your best form of insurance when you’re out on the road and are stuck for any given portion of time. 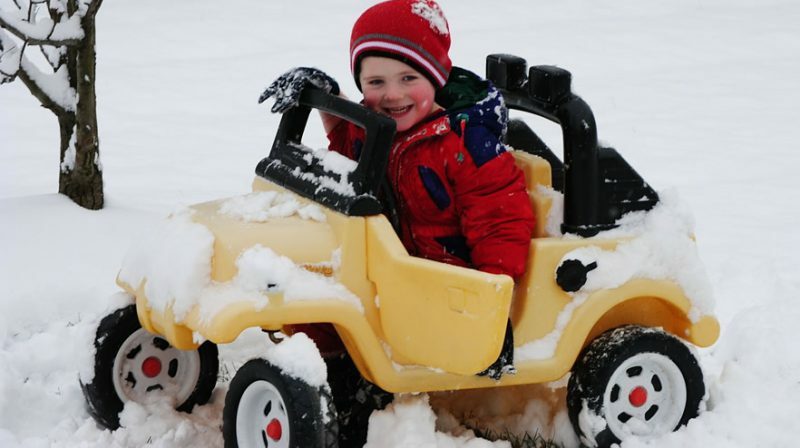 Will your car hold up in Winter weather? Before we list out all the items you need to have in the car, let’s take a good look at your car. When did you service it last? How are your breaks and tires? How about heating system? These are just some of the questions you should ask yourself and as you do, plan on having a reputable auto repair shop help you. Here at Davis Paint & Collision we are a certified auto service center and and work on cars for this very purpose. Not only do we provide general auto tune-ups but we’re also certified to work on a wide range of makes and models and this allows us to provide you with the highest quality of service. Toss a couple of thick blankets into the trunk of your car. They will come handy when you find yourself stuck in the snow and your car won’t start. With a couple of blankets you can have 2 people kept warm for awhile. When choosing the blankets to use, go doe thick and fluffy blankets as they retain heat pretty well. Although we live in a world where we seem to be connected every minute of the day with sufficient power, when you’re stuck on the road it can be a different story. You need to plan for a backup in order to communicate with emergency operators and your family in case you get stuck on the road. You can either connect to a battery powered charger to charge your phone or get a separate phone just for emergencies. If you do get an extra phone make sure you save a few numbers of friends and family who you may need to call in case you need help. LED flashlights have come a long way and it’s something you need to have in your car. LED flash lights in particular tend to be much brighter while using less power than ordinary flashlights. You’ll need a flashlight to be able to see around and help keep yourself safe if you’re stuck on a snowy road. A first aid kit is another great item to have in your car at all times but even more important during Winter. A basic first aid kit will help you handle quick fixes to simple injuries. Lastly, keep some water and non-perishable snacks close to you this Winter season. If you’ve ever been stuck on the road because of weather you know that it takes awhile for help to arrive and sometimes it maybe a long while. Having something to eat or drink can really help keep your emotions in check until help arrives. Being stuck on the road this Winter will be very frustrating, but you can do something about it. Did you know that Davis Paint and Collision Auto Center is certified to work on a wide range of car makes, including yours? We have a dedicated team of experts for maintenance and service solutions for your car. Give us a call at our Oklahoma City location (405) 733-9797 or Midwest City location (405) 732-0762 today!